Device of the 93rd annual meeting of the Medieval Academy of America (2018), at Emory University. As ever, it was good to see old friends and to make new ones, and most of the papers were pretty good. My favorite presentation was the final plenary, by Michael McCormick, of the Initiative for the Science of the Human Past at Harvard. Apparently researchers at SoHP can now deduce the atmospheric content of the past from the ice cores of Greenland or Antarctica without even melting them, and with a much finer granularity than previously (gleaning two million data points for a period twenty thousand years, for example). Thus have they determined that human metallurgy has been putting pollutants into the air for a very long time; it’s not just a function of the Industrial Revolution. Even more interesting is a partnership between the SoHP and the Max Planck Institute in Germany called Archaeoscience of the Ancient Mediterranean, which aims to reconstruct the human settlement patterns around the Mediterranean going back to the late Bronze Age. I was amazed to learn that teeth contain evidence of one’s diet up to age twelve or so. Pulp in the molars of corpses contains evidence of disease-causing bacteria; what researchers are now able to determine is how the DNA of a disease mutated over time (specifically, the Yersinia pestis bacteria of the plagues of Justinian in AD 541-42), which allows them to plot exactly where it appeared and when, and thus to reconstruct ancient trade routes. Fascinating stuff! Other highlights of the conference included the facsimile of the Bayeux Tapestry, on loan from the University of North Georgia (with many copies of the pamphlet explaining it, by yours truly). The conference program was the most edifying I’ve ever seen: in addition to maps, the schedule, and the list of participants, it also featured short articles on the founding of Emory, Emory’s campus architecture, noted medievalists Kemp Malone, Stephen White, Thomas Lyman, and George Cuttino, the Candler School of Theology, the Pitts Theology Library, the Carlos and High Museums, and other things of local or medieval interest. Finally, I would be remiss if I did not point out the excellent heraldry of this conference! 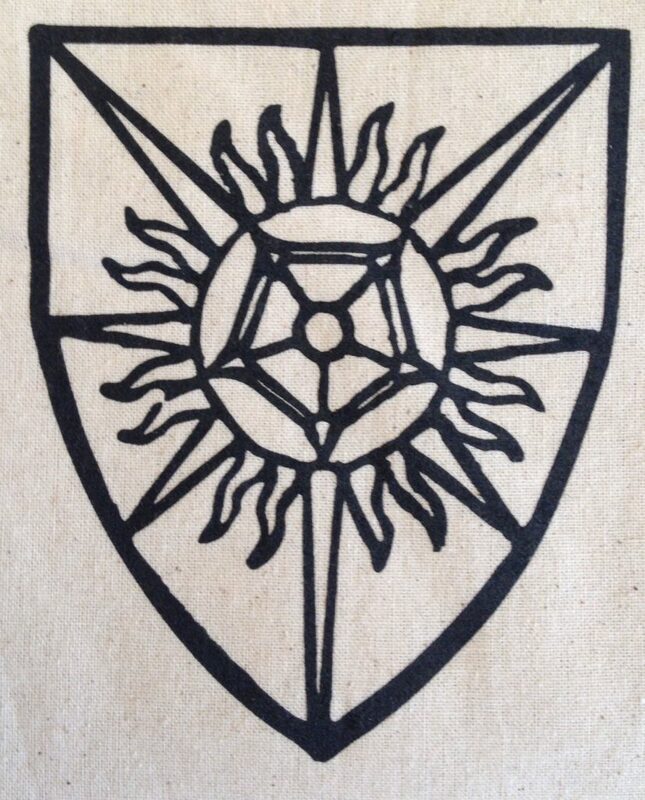 The Medieval Academy’s coat of arms is a wonderful thing, featuring a splendid rose-en-soleil. 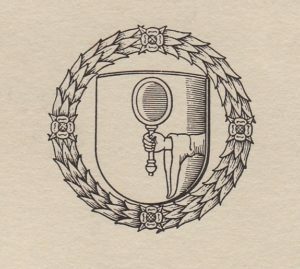 The Academy’s journal is Speculum, and its device features a hand holding a mirror – a punning coat of arms, since speculum is mirror in Latin (it has a different meaning now, of course). Both of these coats of arms, I understand, were designed by Pierre de Chaignon la Rose, who also came up with Harvard’s heraldic system in the 1930s. Emory University itself uses a fine, simple coat of arms, featuring a crossed trumpet and torch. It is based on the university seal, which dates from 1915. * Thesis: anyone who interprets opinions he disagrees with as “violence against bodies of color” does not get to talk about white fragility. Britons are still living in the same ‘tribes’ that they did in the 7th Century, Oxford University has found after an astonishing study into our genetic make-up. Archaeologists and geneticists were amazed to find that genetically similar individuals inhabit the same areas they did following the Anglo-Saxon invasion, following the fall of the Roman Empire. In fact, a map showing tribes of Britain in 600AD is almost identical to a new chart showing genetic variability throughout the UK, suggesting that local communities have stayed put for the past 1415 years. Many people in Britain claim to feel a strong sense of regional identityand scientists say they the new study proves that the link to birthplace is DNA deep. The most striking genetic split can be seen between people living in Cornwall and Devon, where the division lies exactly along the county border. It means that people living on either side of the River Tamar, which separates the two counties, have different DNA. Similarly there is a large area in southern and central England with a shared genetic heritage which coincides with the boundaries of Anglo-Saxon England. Likewise, separate genetic groups can be found in areas of North and South Wales corresponding to the ancient kingdoms of Gwynedd and Dyfed. In the North, specific groups were found in the North East, tallying with the area of Bernicia which was colonised by the Angles from Southern Denmark. And, intriguingly, a small genetic cluster was spotted in the West Riding of Yorkshire, which coincides with the former small kingdom of Elmet, one of the last strongholds of the ancient Britons. Geneticist Professor Sir Walter Bodmer of Oxford University said: “What it shows is the extraordinary stability of the British population. Britain hasn’t changed much since 600AD. “When we plotted the genetics on a map we got this fantastic parallel between areas and genetic similarity. More, including maps, at the link. They gave us the word “person” and invented a symbol of iron rule later adopted by the fascists. Some even argue it was they who really moulded Roman civilisation. Yet the Etruscans, whose descendants today live in central Italy, have long been among the great enigmas of antiquity. 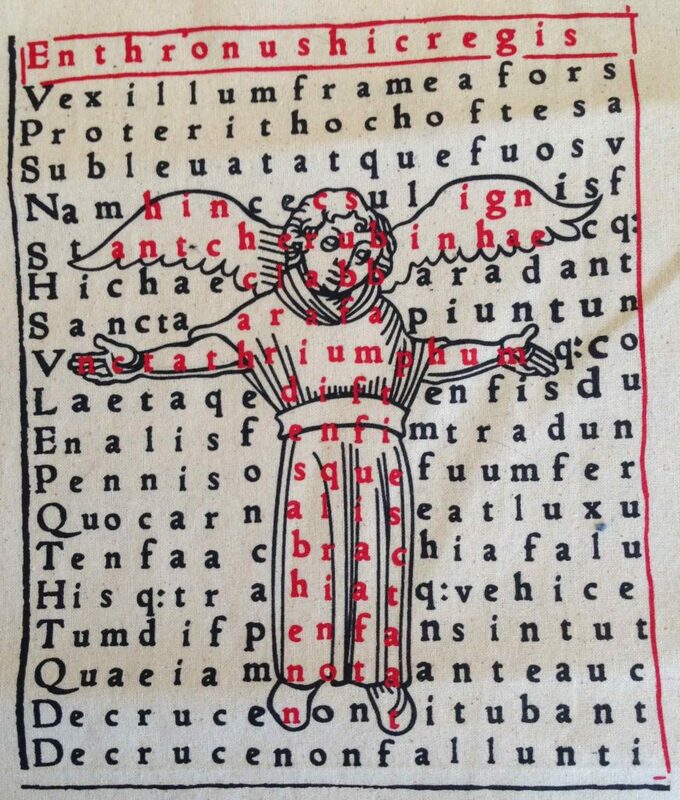 Their language, which has never properly been deciphered, was unlike any other in classical Italy. Their origins have been hotly debated by scholars for centuries. Genetic research made public at the weekend appears to put the matter beyond doubt, however. It shows the Etruscans came from the area which is now Turkey – and that the nearest genetic relatives of many of today’s Tuscans and Umbrians are to be found, not in Italy, but around Izmir. The European Human Genetic Conference in Nice was told on Saturday the results of a study carried out in three parts of Tuscany: the Casentino valley, and two towns, Volterra and Murlo, where important finds have been made of Etruscan remains. In each area, researchers took DNA samples from men with surnames unique to the district and whose families had lived there for at least three generations. They then compared their Y chromosomes, which are passed from father to son, with those of other groups in Italy, the Balkans, modern-day Turkey and the Greek island of Lemnos, which linguistic evidence suggests could have links to the Etruscans. This year, a similar but less conclusive study that tracked the DNA passed down from mothers to daughters, pointed to a direct genetic input from western Asia. In 2004, a team of researchers from Italy and Spain used samples taken from Etruscan burial chambers to establish that the Etruscans were more genetically akin to each other than to contemporary Italians.